What is consciousness? Can it be measured? In this episode, Futuris meets the scientists trying to see if consciousness can be altered in patients which find themselves in minimally conscious states. Evelyne was 39 when in the summer of 2018 she suffered a massive aneurysm. She fell into a coma. Although she made a slight recovery initially, a few days later she went into what experts say is a "minimally conscious state". Geert, Evelyne's husband and carer, said: When she had to recover after she came out of the coma, I was really hugging her. I was talking to her: "please don't die, please recover, please think about the children, think about us." I believe these are the results of the caring, and the love we give. But communications? No...I don't...She understands, she hears, she sees, she tries to express herself, but I think she cannot give the commands to do it." 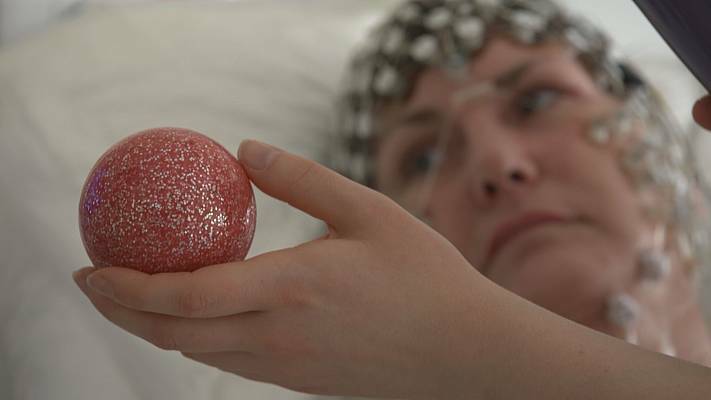 Evelyne´s family agreed for her to be involved in a clinical study, called the Luminous project, to assess if consciousness can be measured and, more crucially, if it can be altered through non-invasive electromagnetic signals. 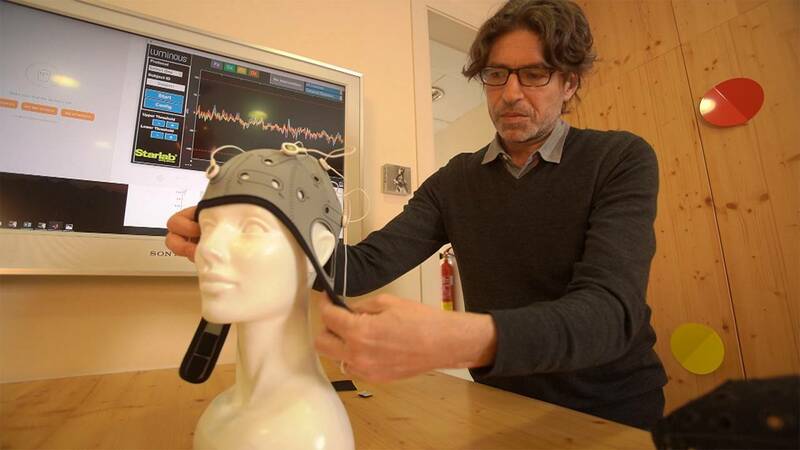 Neurologist Steven Laureys from the University of Liege is working with several patients that have suffered severe brain damage and are taking part in the study. "We, by all possible means, try to reduce the uncertainty about.. is there consciousness? What is the prognosis? What can be done?" he says. 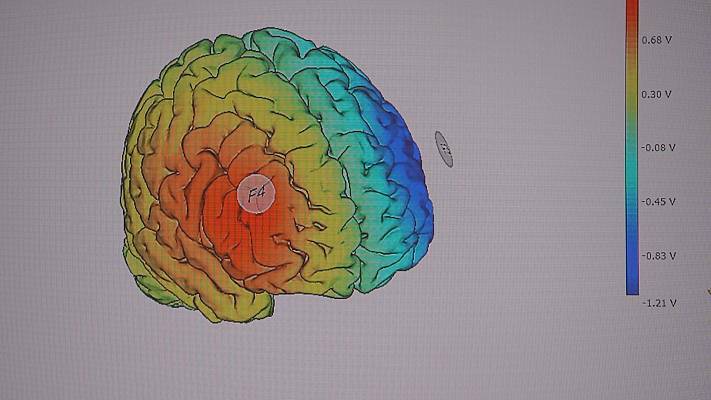 Electromagnetic signals are sent for around 20 minutes to the patients brain. 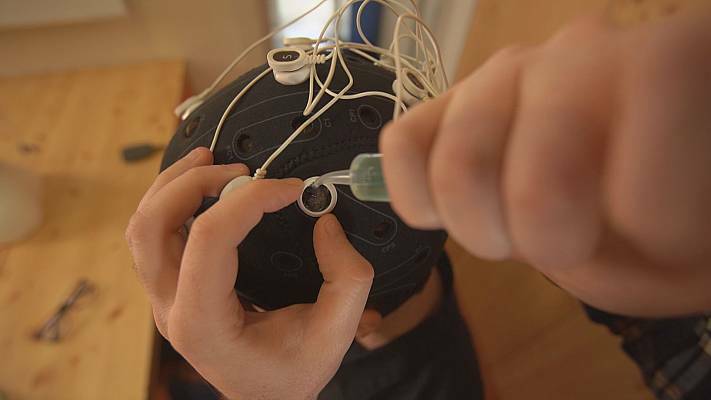 Researchers want to stimulate the plasticity of the brain to help patients eventually recover some level of consciousness. "(Our aim is to help) the neurons communicate between themselves more easily. If for instance we are stimulating the prefrontal cortex of the brain, - that's where superior cognitive functions, memory and attention are located - by stimulating this region, by increasing its reactivity, we'll make it easier for the patient to improve their working memory, their attention. 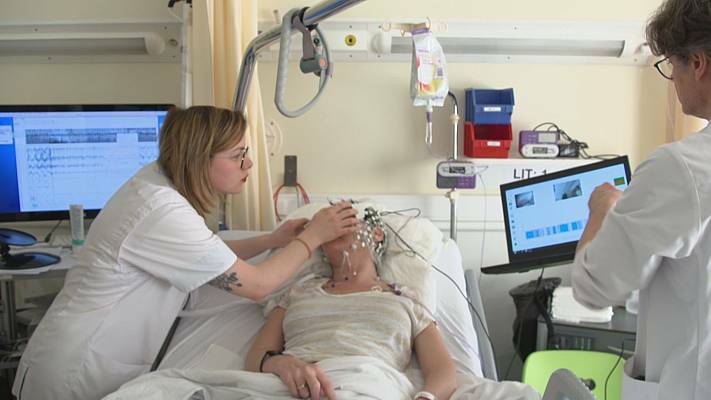 And in the case of patients in minimally conscious states, they could eventually show some signals of consciousness," explains neuroscientist Aurore Thibaut from the FNRS. The research behind the Luminous project was coordinated in Barcelona. The scientists see the technology they are using as a unique tool for developing cognitive sciences. The goal is to be as efficient as possible but it is a huge challenge. "These patients go through higher or lower periods of awareness. Depending on when you apply the stimulation, their capacity to recover certain consciousness might differ. That's why we are testing different methods of brain stimulation, all on the frontal cortex. 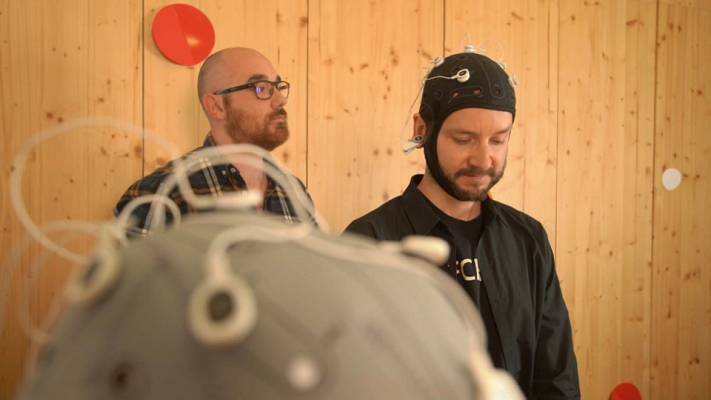 We are stimulating patients when they are in higher periods of consciousness, in lower periods and also, as a control measure, in random periods of consciousness," says David Ibáñez Soria, a biomedical engineer at Starlab. Back in Belgium, doctors say half of the participants in their study have shown slight signs of improvement, but insist the research must continue. 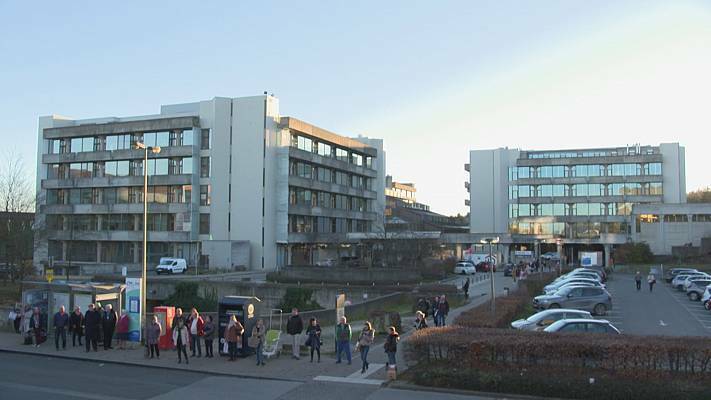 "Very often I hear: ´be careful, don't give these patients false hope. But we also should be aware that there is something called "false despair". For too long we thought there is nothing we could do for any of these patients. And that is wrong," Laureys says.